Slow Cooker Spiced Beef Stew with Sweet Potatoes. This yummy beef stew will become a family favorite! 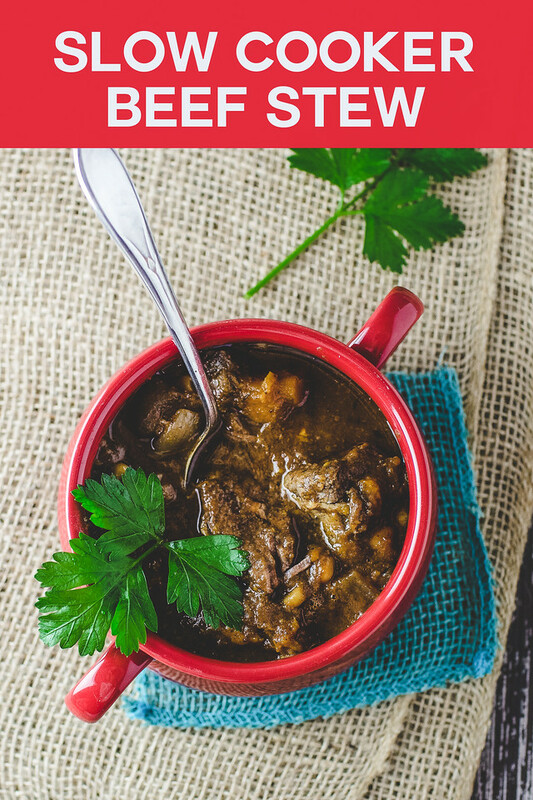 If you are looking for a delicious take on a crockpot beef stew, this is the stew for you! This beef stew has fall flavors with butternut squash and sweet potatoes and warming spices of chile powder and smoked paprika, but it’s great year round. Click here to pin this Slow Cooker Beef Stew now! I love a classic beef stew, don’t you? Carrots, potatoes, celery and beef chuck all cooked to mouth watering tenderness. Pure comfort food. But sometimes you want something a little different. Change things up a bit with your stew. That’s where this Spiced Beef Stew with Sweet Potatoes and Corn comes into the picture. This recipes takes your regular beef stew and turns it into a warm, spicy stew with fall and winter flavors. Sweet potatoes, butternut squash and corn pair beautifully with the smoked paprika and ancho chile powder. I found this recipe at Southern Living. The combination of sweet potatoes, butternut squash and corn sounded fabulous and it was! It was sweet with just the right amount of spice and just look at that rich dark broth! The best way to get lots of flavor in your slow cooker or crockpot stews is to brown the meat first. Yes, it’s an extra step, but it makes such a difference in the flavor. I’m sure you’ve heard about the Maillard Reaction – that yummy flavor that results from browning meats. It’s what you want. Southern Living skipped what I feel is an important step – deglazing the pan! If you are going to go through the extra step of browning the meat, don’t leave all those delicious brown morsels in the pan. After browning your meat, you want to pour in some beef broth and scrape up all those brown bits! 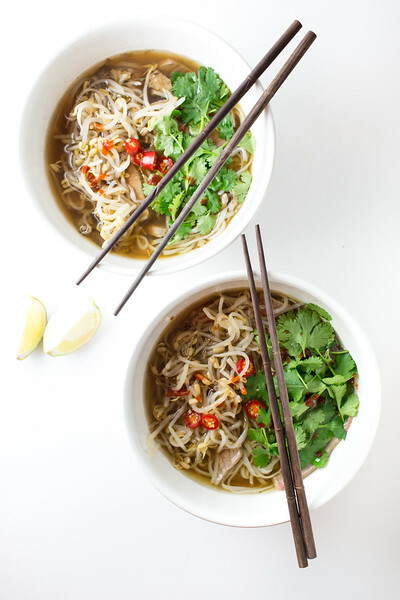 Did you know you can make pho in the slow cooker? Yes, you can and this Slow Cooker Beef Pho is delicious! 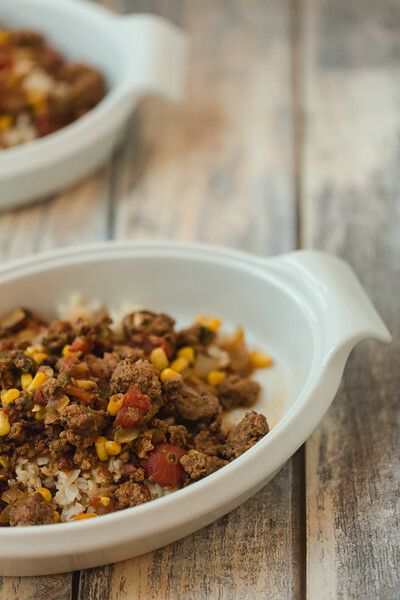 Another favorite slow cooker ground beef recipe is this Slow Cooker Picadillo. 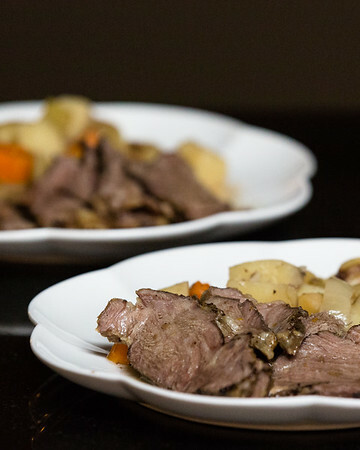 Don’t let my dismal 2014 photos fool you, this Slow Cooker Braised Pot Roast is a classic! This Slow Cooker Spiced Beef Stew with Sweet Potatoes is warm and comforting and so easy in the slow cooker. 2 cups cubed butternut squash about 1 lb. Reserve a 1/2 cup of the beef broth and whisk together the remaining broth with the tomato paste. Put the flour salt and pepper in a ziplock bag and add the beef. Toss to coat well. Brown the beef in batches in a large skillet over medium high heat, about 10 minutes. You want to get a nice brown crust on the beef. Remove beef from skillet and add to 6 quart slow cooker. Pour the reserved 1/2 cup of beef broth into the skillet and scrape up the brown bits, pour that into the slow cooker. Add the rest of the ingredients and cook on high for 6 hours. Update Notes: This was originally published in 2015 and has been updated for 2018. This looks and sounds absolutely wonderful! It has some elements of an African maffe and I bet it is delicious! I have to go look up what an African maffe is! The sweet potatoes have my attention, what a good hearty stew for cold weather. The sweet potatoes are a nice touch! This looks so good. Great comfort food when it’s so cold outside. Yum, this looks so hearty and comforting for this winter, can’t wait to give it a go! Thanks for Linking up with us at #TryABiteTuesday! Come join in again this week, the link up is open! Your Spiced Beef Stew with Sweet Potatoes looks delicious, I can’t wait to taste it! Hope you are having a great day and thanks so much for sharing with Full Plate Thursday. This is definitely no ordinary stew! Love all the layers of flavour and that it is slow cooker friendly. Stumbled and shared. 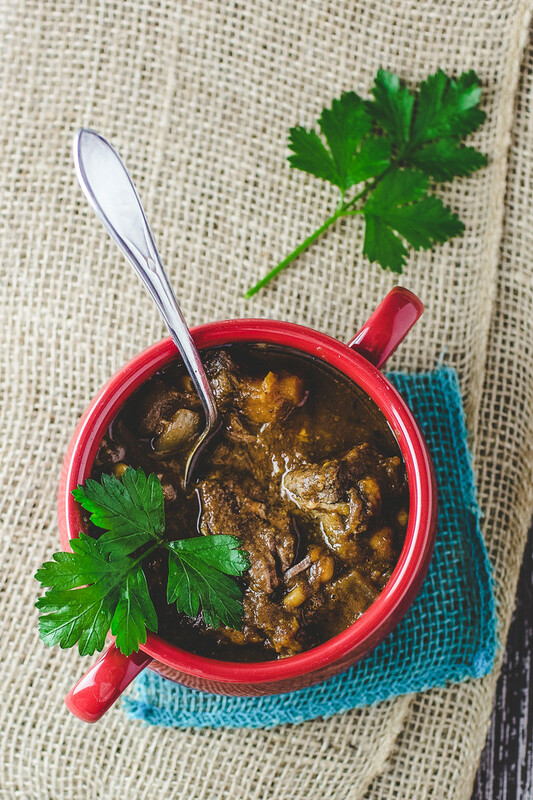 Thank you for bringing your delicious Spiced Beef Stew to the Hearth and Soul Hop, Pam! Looks really delicious – and I agree, why waste all that precious flavour! Even when cooking a steak I will deglaze with a bit of water (or wine) and pour over for extra taste and juiciness. Yum.